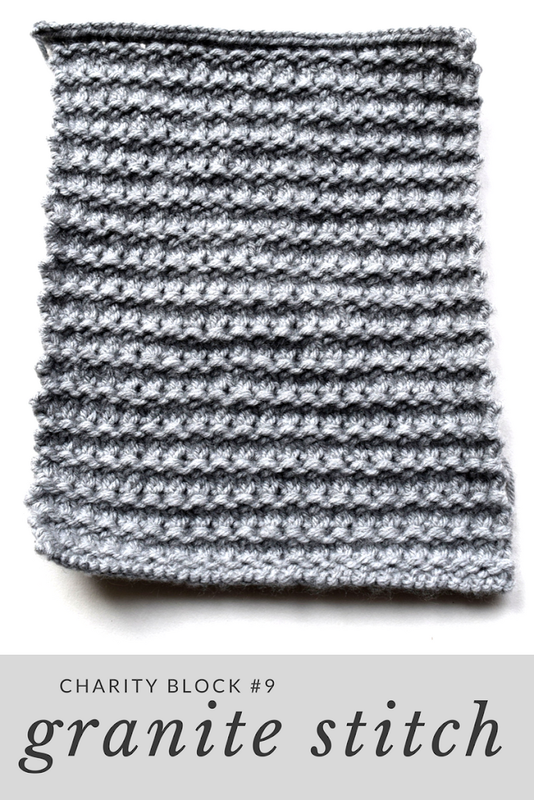 I’ve liked the look of the granite stitch ever since I first saw it on Pinterest, but I like it even more now. I knit this block as another swatch to see if it would work for a future design. It won’t work for the one I had in mind, but I love how simple yet interesting the stitch pattern is. It also lays neatly flat instead of curling, which gives it bonus points. I think it would be a great stitch for a scarf or a blanket. Downside, though: the stitches really scrunch together. My gauge with these needles and this yarn would usually be around 4 stitches per inch, but with granite stitch it ended up being 6 stitches per inch. 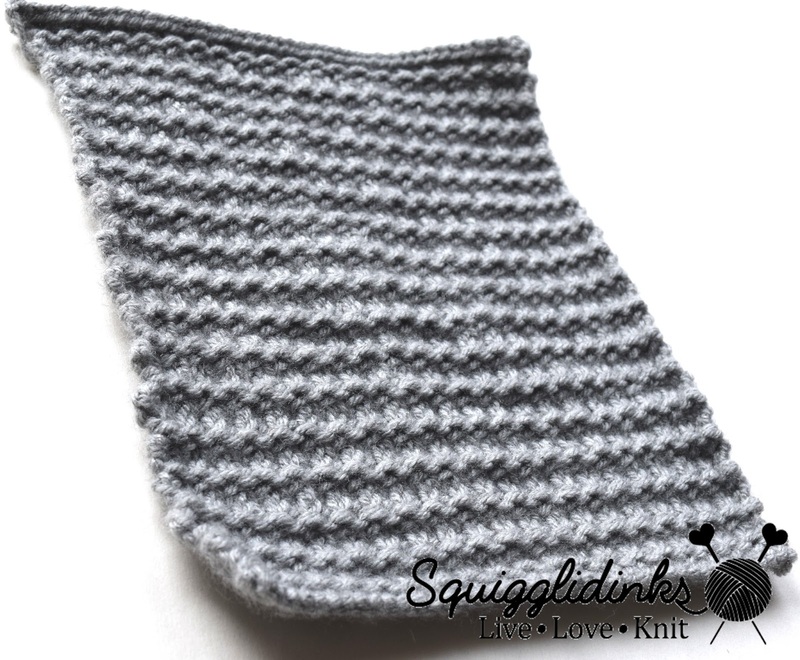 Follow the stitch pattern at Studio Knit. Continue until block measures 9 inches from cast on edge. Bind off.